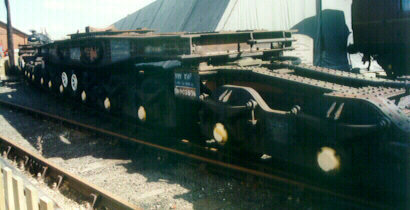 Used in pairs for transporting large pipes each 'wagon' has 4 6-wheel bogies, these may also have run with spacer wagons between the two bolster wagons or outside them. The pipe would sit on a saddle. This pair were photographed at the National Railway Museum York Easter 1997.